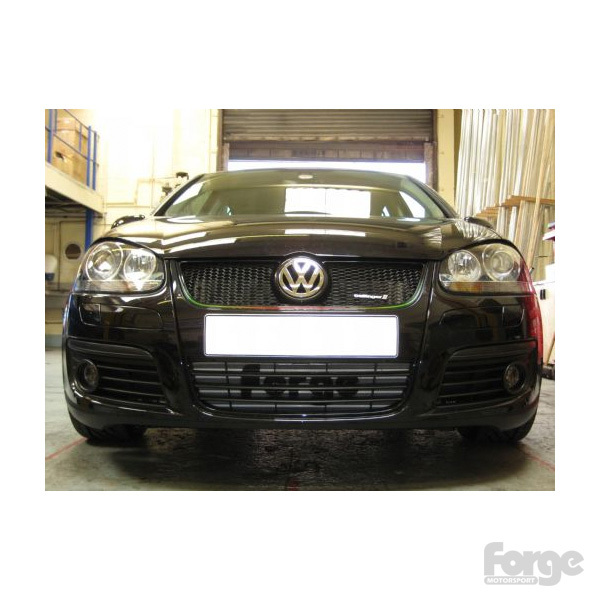 For the MK5 Golf GT, with the 1.4 litre TSi engine, we can offer a sure way to improve on the charge air cooling, by using the Forge "TWINtercooler". Our ground breaking innovation, first proven on the 2 litre FSit engines, features our unique parallel intercooler configuration, which adds greater cooling efficiency throughout the entire RPM band, beyond that of a single intercooler setup, but without any perceived increase in turbo lag. Our data logging consistantly gave a reduction in temperature of up to, a peak of 9 degrees Centigrade. Such a large reduction in inlet temperatures clearly shows this intercoolers ability, and this is directly related to the power output of the engine.